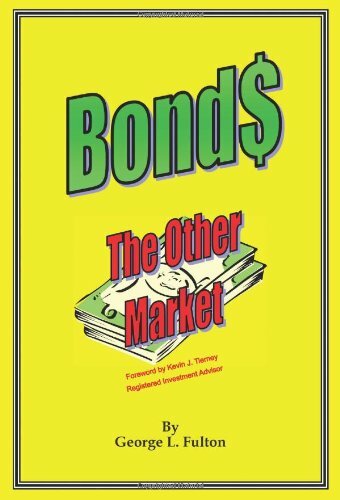 Bonds - The Other Market is a comprehensive introduction to bonds (and the bond market) that is written in a relaxed, non-technical style for ease of comprehension. While intended as a primer, the information presented is also significantly useful to those professional institutional investors who collectively manage investments in the trillions of dollars. This book covers bonds in general and progresses to bond issuers and the specific kinds of bonds available in the marketplace complete with their individual characteristics. It then discusses bond ratings, factors that affect bond performance, economic and geo-political conditions that affect the markets, the differences between stocks and bonds and their markets, market timing and finally, investment strategies to employ in six different interest rate scenarios. The balance of "risk-reward" is the underlying theme that carries each chapter and topic. The purpose of this book is to make individual and institutional investors aware that the highly technical and complex bond market, rather than be avoided out of fear or ignorance, is easily within their comprehension and grasp. It is also a reference and instructional resource for those who wish to participate in the world's largest financial market. If you have any questions about this product by Brand: AuthorHouse, contact us by completing and submitting the form below. If you are looking for a specif part number, please include it with your message.